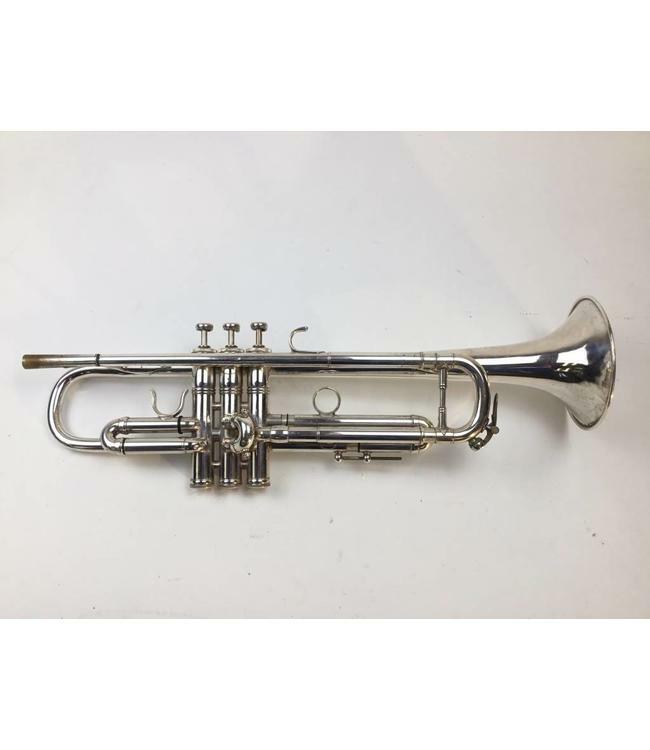 Used Benge “USA” 3X Bb Trumpet in silver plate. Instrument is in fair condition with leaky valves, dents/dings throughout, evidence of bell repair surface scratching and silver wear on receiver. No case.